Five-month-old miniature panther (okay, she’s a regular kitten, don’t burst her bubble) Exene was rescued from life as a stray in Virginia. She is enjoying her caring foster home and learning how to “cat,” but is hunting (because panther) for her forever home, ideally with a kitty friend to show her the ropes! Exene loves to have her ears and chin scratched, and enjoys being brushed. She’s not a fan of loud noises and activity, and so would do best in a quiet and gentle home, where she gets lots of attention and cuddles and can gain confidence. 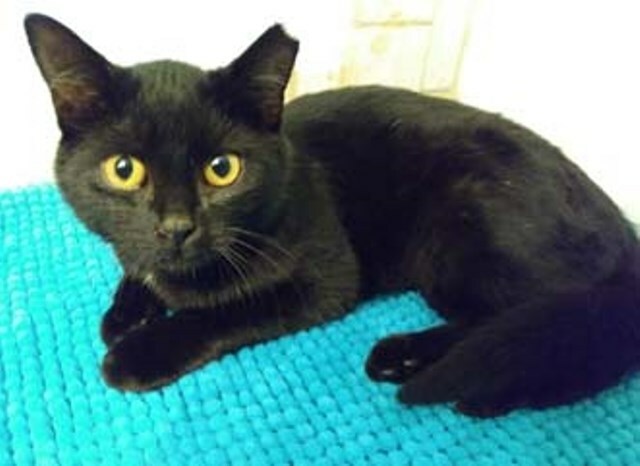 This young and beautiful kitty will make someone a wonderful companion – is it you? Find out more about Exene here. 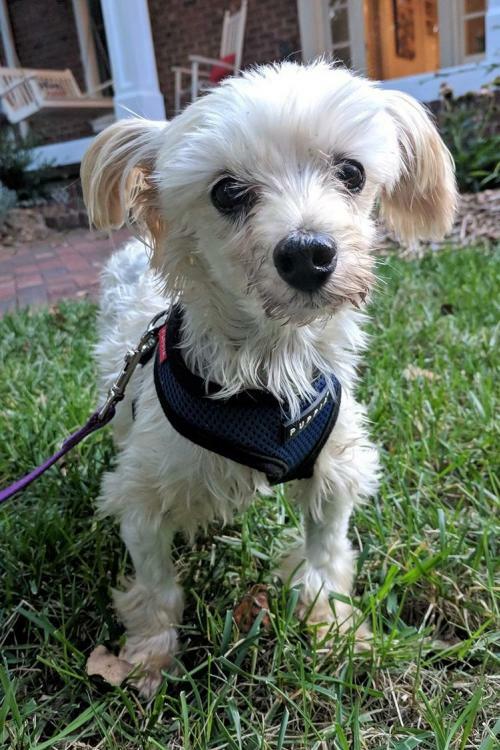 Meet resilient Nubbins, an adorable Maltese mix, recently rescued from a backyard breeder situation where he was abused and neglected. Nubbins is estimated to be about 5 or 6 years old, weighs a whopping 8 pounds (though that should increase with good nutrition), and has been treated for medical and dental issues stemming from his abusive past. Now Nubbins is learning from a loving foster family what it is to be a loved indoor pet, and he is looking for a forever home where he can blossom. Nubbins is great with other dogs and is learning to trust and love his humans, making great strides every day. In fact, he now sleeps in bed with his foster parents, and recently passed his doggy daycare evaluation with flying colors! This little guy just needs a chance to find the loving home he deserves, ideally with a calm dog to be his mentor. Please find out more about this sweetie here.